At a time when people wondered why there were no blacks in history books, a comic named Flip Wilson went on “The Ed Sullivan Show” and recast the Christopher Columbus story with streetwise black voices. There was no anger in the routine, no finger-pointing. It was a bit that would kill at the Apollo as well as the Catskills, without changing a word. When Flip said, in the sassy voice of Queen Isabella that “Chris gonna discover Ray Charles!” the races came together in laughter. Wilson, who died of cancer in 1998 at age 64, was that rare figure of the day who strutted his blackness in an unthreatening way. Raised in foster homes after his mother abandoned him and his 12 brothers and sisters, Wilson had every right to spike his act with bitterness. Instead he reached out with comedy, creating beloved characters like Geraldine Jones and Rev. Leroy of the Church of What’s Happening Now. 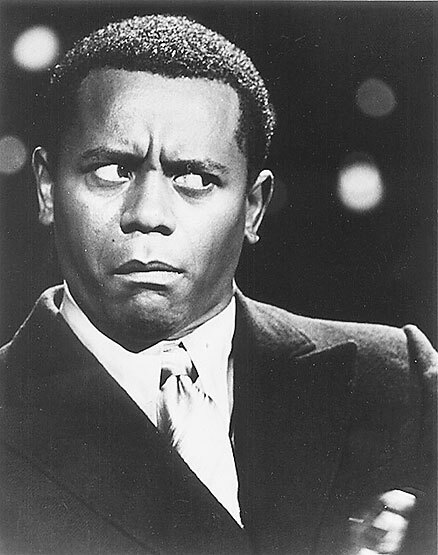 After its debut in 1970, “The Flip Wilson Show” spent several weeks as the top-rated program,and built such catchphrases like, “The devil made me do it.” But after two successful seasons, the show got stale. Following its cancellation in 1974, Wilson semi-retired from show business. Or maybe his phone just stopped ringing. 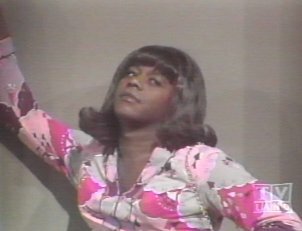 Judging by the recent Rhino release of a video containing two episodes of “The Flip Wilson Show,” it’s sad to report that posterity will not be kind to the comic. On the very first show, which aired Sept. 17, 1970, Wilson opens with a long and unfunny bit about how instead of spending $104,000 on some big production dance number, he would show the audience what $104,000 looks like. It goes on and on with nary a chuckle. Another too-long segment, in which Geraldine Jones is interviewed by David Frost, is so unfunny it makes you wonder how this could be the same show that inspired so many tears of laughter in 1970. But taken out of context, comedy doesn’t always translate. Ignore his role as a free-speech martyr, and Lenny Bruce just isn’t funny. Has Mort Sahl made anyone laugh since the Vietnam War ended? Would it be hilarious today to show a guy so hungry that he has to eat his shoe? Proving, once again, that humor is made for the times, not for the ages. This entry was posted on October 8, 2011 at 11:21 pm	and is filed under Uncategorized. You can follow any responses to this entry through the RSS 2.0 feed. You can leave a response, or trackback from your own site.